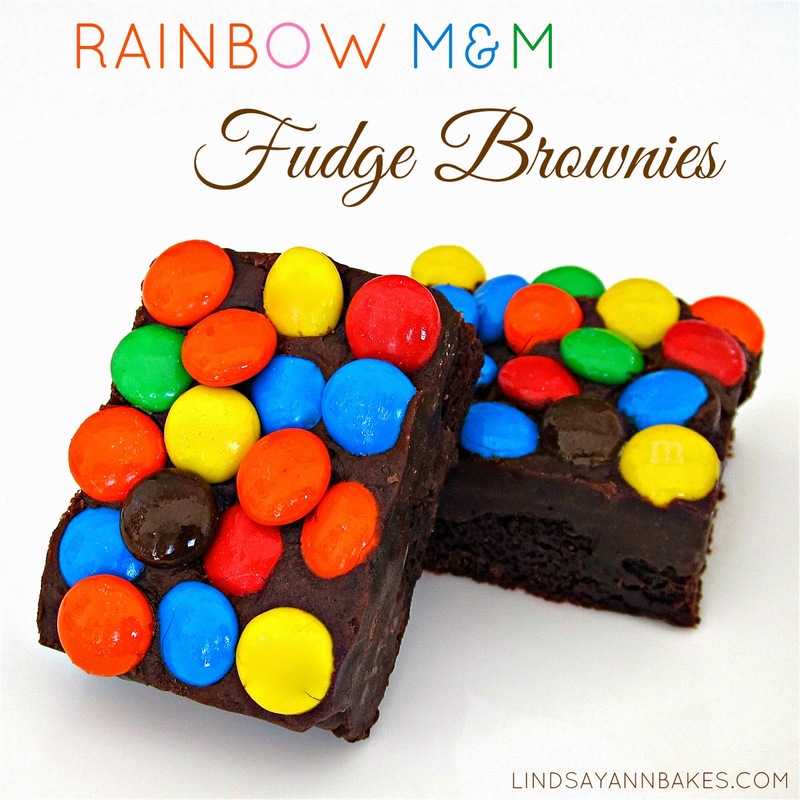 Ultra fudgy brownies, topped with a layer of rich chocolate ganache and finished with a rainbow of M&M candies covering each decadent square! These deliciously fudgy, never cakey, tender in the center, crispy edged brownies, start with a slightly tweaked version of my favorite fudge brownies ever. The rich chocolatey ganache topping comes together in minutes, with just 3 simple ingredients. I could eat this stuff by the spoonful it is that good! 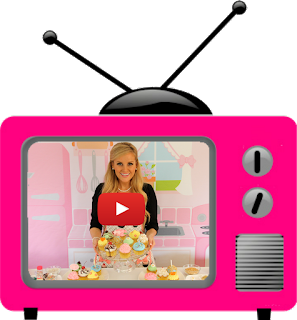 Pour it over the brownies and top with M&M candies before the chocolate sets, to trap all those little candies in the layer of creamy ganache! For a smaller batch, cut recipe in half and bake in an 8x4 inch loaf pan for about 30 minutes. For a larger batch, double recipe and bake in a 9x13 inch pan for about 35 minutes. Reduce heat to low and add the sugars, chocolate, and cocoa, stirring with a wooden spoon until smooth. Remove from heat and stir for about a minute to cool mixture. Mix in the vanilla extract and eggs, one at a time, beating well after each addition. Stir vigorously for about 1-2 minutes until batter becomes thick, smooth and shiny. Stir in the flour, baking powder and salt, until just incorporated. Pour batter into prepared pan. In saucepan (or in the microwave), heat cream and butter just until it starts to boil. Place chocolate (chopped or chocolate chips) in a small bowl and immediately pour just boiled cream on top. Let sit for a minute and then gently stir until smooth. 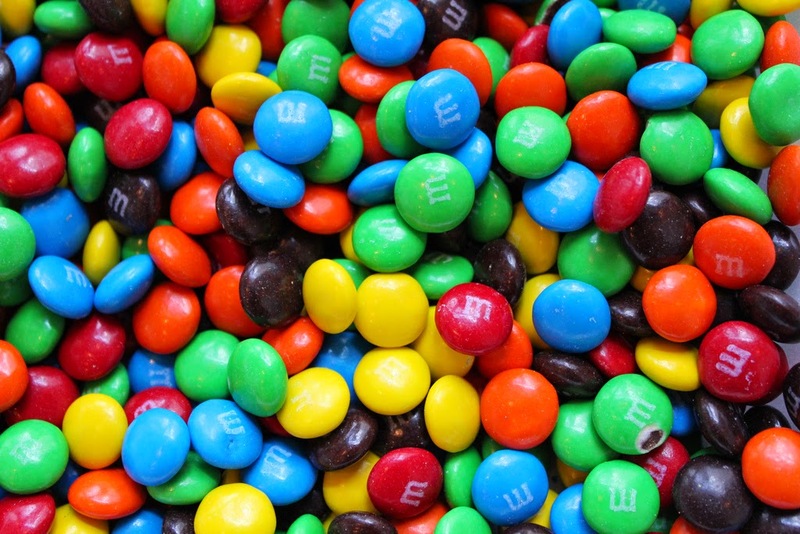 Pour over the top of the brownies and immediately sprinkle M&M candies on top. Let ganache set and firm up before removing from pan. Use the parchment or foil to lift the brownies out of the pan, slice and serve.